The HYDAC RFD filter series is a return line filter. 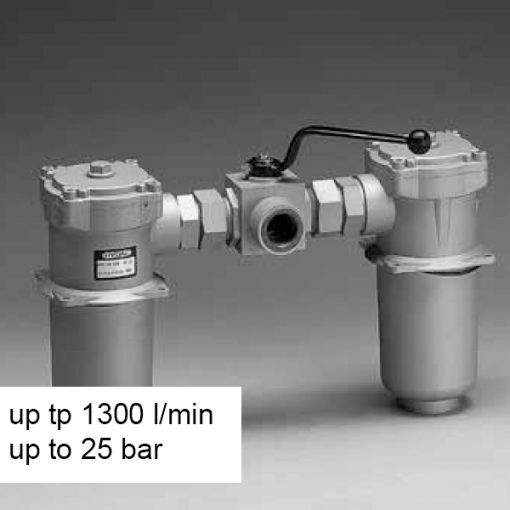 It has a flow capacity up to 1300 l/min and a pressure capacity up to 25 bar. The design of the filter housings is in accordance with international regulations. They consist of one-piece housings with bolt-on cover plates. What’s more, the connection of the two housings happens by a ball change-over valve with negative overlap and single-lever operation.